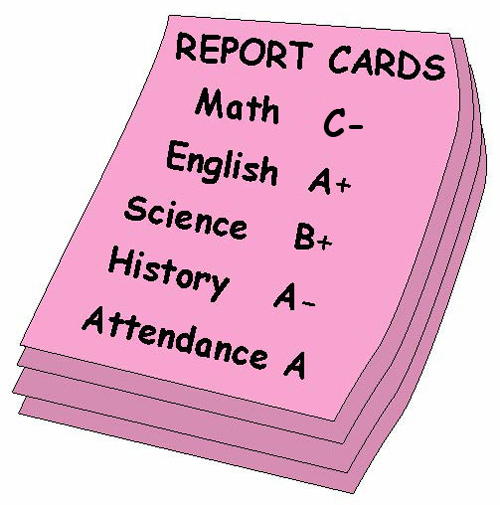 Last week we brought you an article about Grading Period Ends Friday with a focus on days on market. So many people called or wrote to us that we thought we’d keep the ideas flowing. Since this past week students had mid-term exams, it’s too early to get all the grades in, but we are seeing some preliminary numbers. SW Florida is doing pretty well overall, however we do see a few falling short in Math. Math is a subject some do well in and others struggle with, so we decided to give some helpful advice. Sometimes 2 + 2 doesn’t equal 4. If you bought a home for $250,000 back in 2005 and put $50,000 of improvements, upgrades, and maintenance in it, simple math would tell you your cost is $300,000. Cost doesn’t equal value. If I had the money and built a home in SW Florida for $50 million dollars, it would be fairly easy to prove that I had $50 million in cost. However, most people would quickly recognize I could never sell it for $50 million. Depending on where it is, maybe I could get $2 million, $3 million, o possibly $10 million, but $50 million might be a little over the top for this market. This isn’t Dubai or Hollywood. What you paid for a home has little to do with its value today. Buyers know this, and that’s why they scrutinize their purchase so heavily, because they don’t want to overpay. The other fact is that markets change. What you paid years ago has little to do with value today. It’s funny, because sellers often times tell Realtor how much they have in the property as if that’s a baseline to begin valuing the property. Let’s say a seller has $200,000 in property and thinks they deserve $100,000 profit after owning for 10 years. The seller might want $300,000 plus selling costs. This logic right here is what’s holding the class back. Some students get it, but some are using funny math. To these sellers I would ask a simple question. Let’s say your grandmother died and left you with a property that is worth $500,000. How much are you going to ask for it? They typically answer $500,000, that’s what you said it’s worth. I answer, why would you ask $500,000, you got it for free. Isn’t that a bit greedy? They then proceed to tell me if it’s worth $500,000, that’s what they should get. If they still don’t get it, I might add another qualifier. What if I told you this home cost your grandmother $800,000 to build? Now how much do you want? When it’s someone else’s cost, they typically get it and realize the answer is $500,000. It’s amazing that if you’re given something for free people accept they have to sell it for today’s market value, but if it was your own blood, sweat, and hard work, they become emotionally attached and feel they deserve more. The problem with that math is that the buyer doesn’t feel that same emotional attachment, and they won’t pay more than market value. So we’ve established cost doesn’t equal value. Another equation we might want to address is the principle of substitution. Buyers will look at several properties before making an offer. They may have a wish list of things they’d like in a home and go out and find several properties that meet that wish list. Then all of a sudden out of nowhere another home presents itself. It doesn’t quite match everything the buyer wanted, but it meets their basic needs and it offers value. Buyers love to buy value. I’ve heard many Realtors complain that “Buyers are Liars” because they said they wanted one thing and bought another. Buyers are not liars. You just have to ask more questions and go deeper. When you do that you uncover true motivations. I’ve seen situations where a buyer and seller are counter-offering back and forth. The seller mistakenly believes the buyers are locked into their home and it’s just a matter of what price they’ll end up at. Along comes a home at the 11th hour and the buyer switches, leaving the seller at the altar. The seller wonders what just happened, and this is the principle of substitution. Even though inventory is limited, buyers still have choices. If you price your property at today’s value, you’ve got an excellent chance of selling. If you’re stuck on fuzzy math, this one class could hold down your GPA and keep you from graduating to the next level.